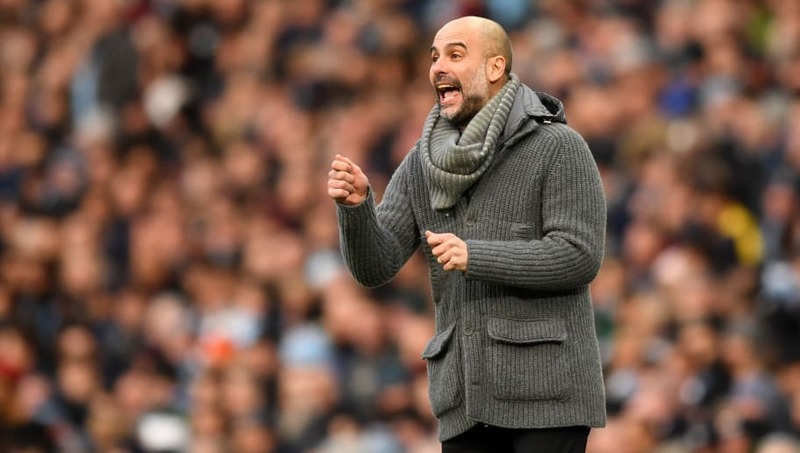 ​Manchester City manager Pep Guardiola has said that there is no pressure on his side, after they beat Chelsea 6-0 on Sunday afternoon to go back to the top of the Premier League table. The Citizens ran out winners thanks to a hat-trick from Sergio Aguero, a brace from Raheem Sterling and a strike from Ilkay Gundogan, as they overtook Liverpool, who have a game in hand, at the league's summit. Speaking to Sky Sports after the victory, Guardiola was delighted with the performance, while he remained adamant that his side face no pressure in the title run in. He said: "Pressure does not exist. What pressure can the players feel? You have to play like a team, if you win: perfect. If you don't win you try next season." He added: "We are privileged to be players or managers, involved in one team. They have to try to do their best. That is why I demand from them. But pressure is society stuff, there are many, many troubles around the world to think you have pressure." Manchester City were top class at the Etihad, and regained their top spot thanks to their superior goal difference. City needed to win against Chelsea, after fellow title challengers Liverpool beat Bournemouth 3-0 on Saturday afternoon. Although the Citizens were 4-0 up within 25 minutes, they did so without key player ​David Silva. Guardiola dropped the Spaniard for Sunday’s game, after having missed just four league games all season. When asked about leaving Silva out of his starting lineup, Guardiola said: “I need him. I miss him when he’s not playing, but sometimes I also don’t play Kevin [De Bruyne] or Sergio [Aguero]. To drop [Ilkay] Gundogan is so difficult.